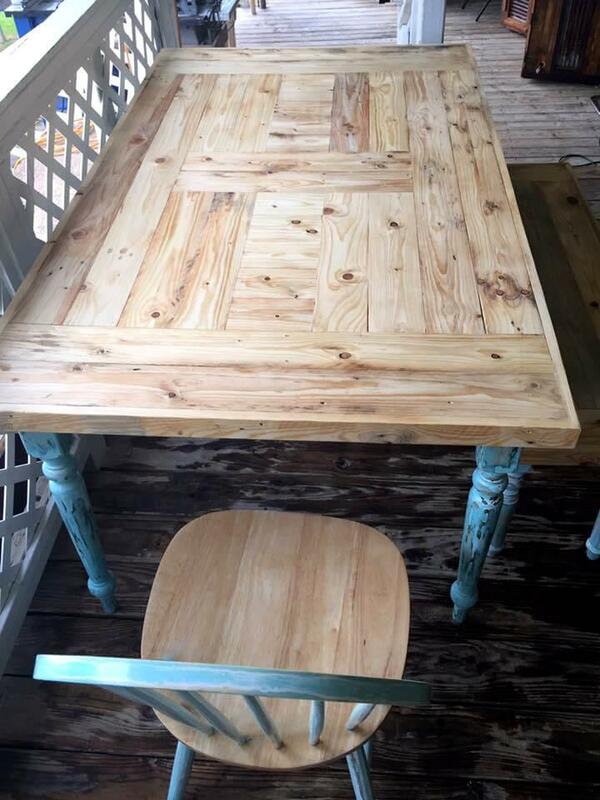 Again here we are with a better DIY refurbishment of some old furniture pieces done with pallet wood, just take a look at this fine DIY pallet redone old dining furniture set, given a 2nd more life through amazing pallet wood patch work! 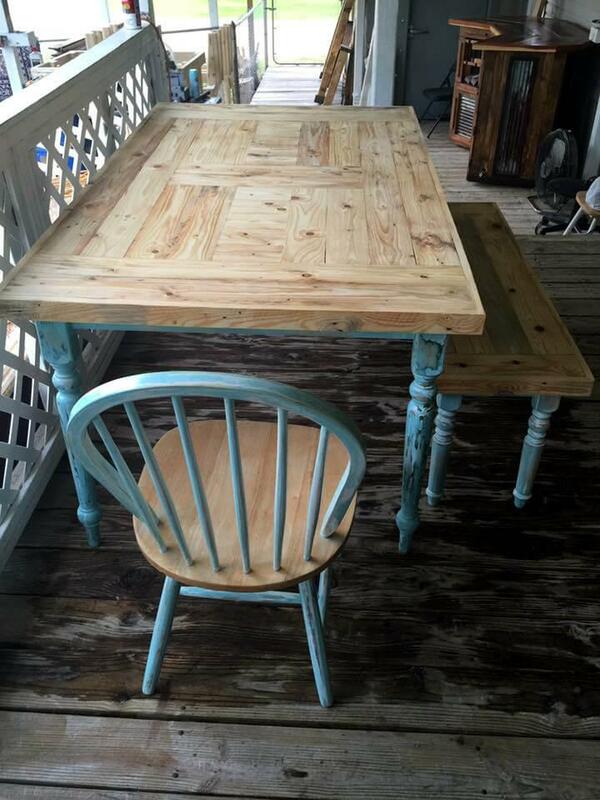 In this set a dining table, 3 chairs and a bench are available, treated with pallet wood and distressed paint to be back again in services as a dining set! New berth position has been provided to old chair frame and a brand new wooden top to broken up old dining table base and also a perfect wooden berth has been provided to old dining bench! Imperfections have been made hidden using distressed paint coats and hence this revamped dining set gain a perfect country cottage, shabby chic and vintage appearance! 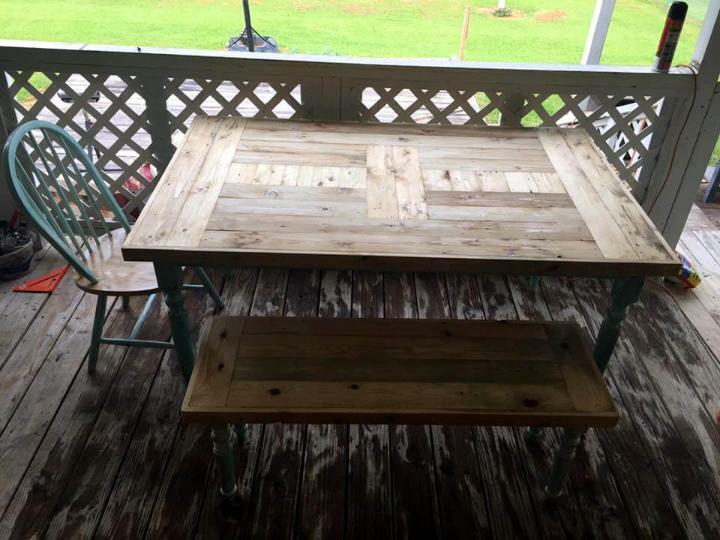 You can also be a fan of pallet patchwork if you are to repair lot of crumbled and old pieces of furniture lying useless in home scrap! 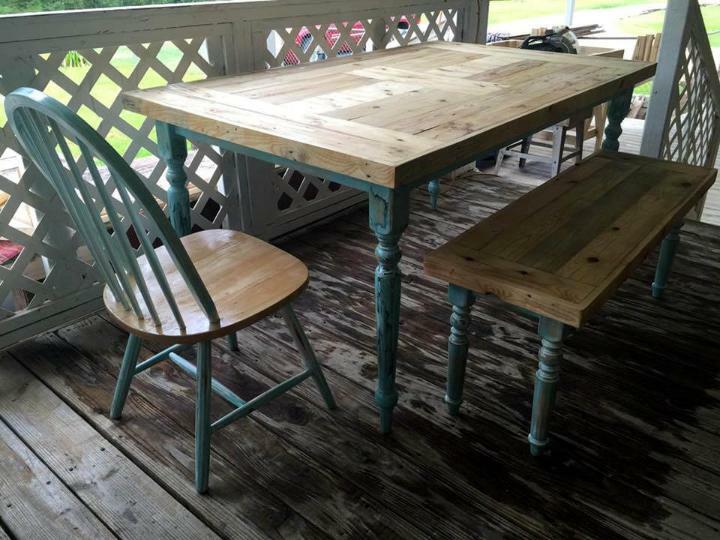 Here old crumbled dining set has been restored to work fine again, grabbed from home trash store and has been repaired with pallet wood! Reusable frames of dining chairs, bench and dining table has been reconditioned and patched up with pallets and hence rehabilitated to be back to services! Chair frame has been revamped with a pallet-made round berth, the dining table frame has been refurbished with a new thicker pallet-made top and reclaimed bench base has also been remodeled with a new wooden berth composed of pallets! This is here just the fine example of fabulous pallet patch work, so now you can avail pallets also to renew your collapsed and old furniture frames! 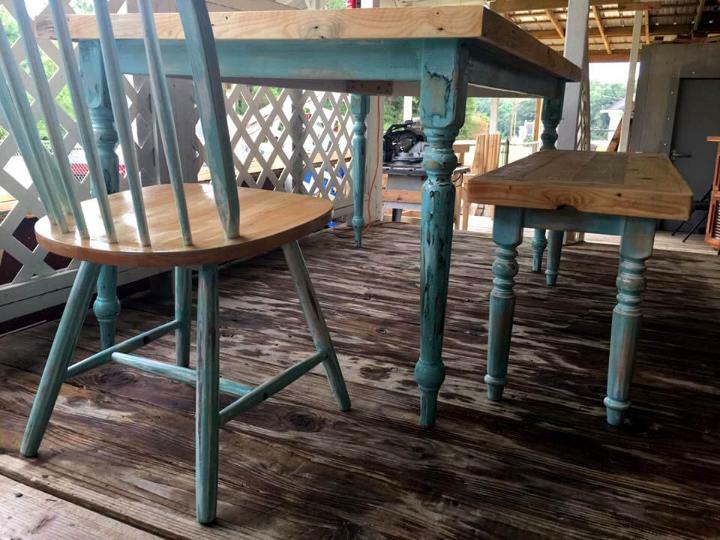 This refurbished dining set is again ready now to plan for outdoor beverage parties, kids picnic parties and also for delicious dinners!